NSW Premier Gladys Berejiklian will today target critical Western Sydney seats ahead of tomorrow’s knife-edge election, while Labor leader Michael Daley prepares for the possibility of a minority government with the Greens and the Shooters Fishers and Farmers Party. The Sydney Morning Herald reports that Berejiklian, who today enjoys endorsements from both major metro papers ($), will campaign in the marginal seats of Penrith and East Hills, while The Daily Telegraph ($) reports that the Shooters could take up to three seats and create a hung parliament. Meanwhile, The Australian ($) reports that Daley is facing demands from the Greens to merge competing environmental policies and invest $1.5 billion into renewable energy projects within a potential first year in office. 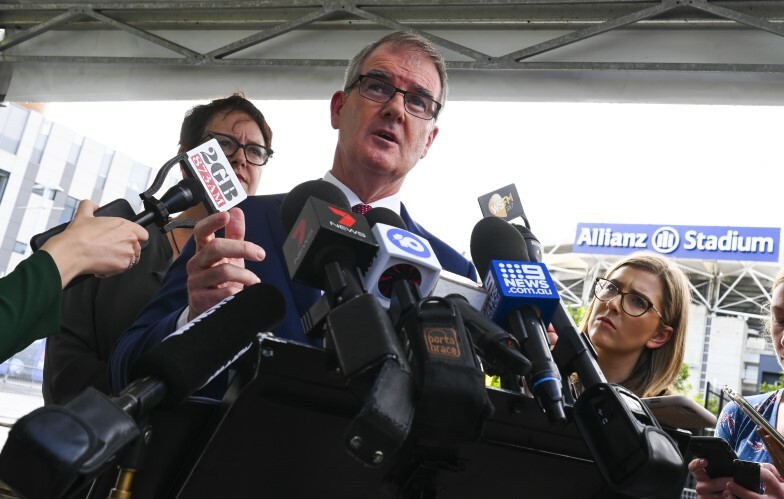 Daley will today be campaigning at Allianz Stadium amongst ongoing PBO investigations into Labor’s plan for refurbishments ($). 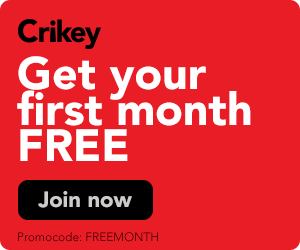 Prime Minister Scott Morrison has claimed in an interview with The Project’s Waleed Aly that he has only ever sought to address, not exploit, anti-Muslim sentiments amongst voters. As The New Daily reports, Morrison told Aly that he only raised voters’ potential anti-Muslim sentiments at a now notorious 2010 cabinet meeting in order to “lower” them. The interview comes after Morrison initially threatened — and then backed down on — legal action against Aly after the alleged 2010 comments were mentioned in a Project report on Christchurch. When pressed on the topic of the coming election, Morrison also said that with ongoing pressure from anti-Greens LNP colleagues ($) and now Michael McCormack ($), he could not guarantee the Coalition will preference One Nation last. Far-right figure Milo Yiannopoulos and his touring manager Damien Costas attempted to use a network of Australian conservatives including Andrew Bolt and Alan Jones to lobby the Coalition government to overturn Yiannopoulos’ first visa ban. The Age reports that, as revealed in a series of WhatsApp messages Yiannopoulos intends to file today as part of a court action against Costas, the campaign to directly appeal to Home Affairs Minister Peter Dutton and government colleagues also allegedly included contact with One Nation’s Pauline Hanson and Coalition MP George Christensen. While backlash from conservative MPs and media outlets initially secured a reversal on the ban, Yiannopoulos’ response to the Christchurch terror attack resulted in a second, ongoing ban. I’ve never seen anything like this before… You read a book, you put it in here and you take a book out. The member for Warringah discovers a street library and decides to film it. The National Press Club will host “Best of health for Australia: The experts’ priorities for the 2019 Federal Election” with former Chair of the Consumers Health Forum Karen Carey, presenter on ABC’s Ask the Doctor and CEO of EAT Dr Sandro Demaio, and Head of Grattan Institute’s Health Program Stephen Duckett. Australian Digital Alliance will host the 2019 “Copyright 20/20” forum with speakers including EU Parliamentarian Julia Reda. Day one of the two-day Indigenous Peoples’ Contribution in Australia and Globally forum, to include presentations from writer Bruce Pascoe, The Canberra Times’ Editor-in-Chief Jack Waterford and ACT Shadow Minister for Indigenous Affairs James Milligan. Gender Equity Victoria will launch the Active Online Bystander Project at ACMI with panellists The Guardian’s Melissa Davey, writer Madison Griffiths, RMIT sociologist Nicola Henry and sports journalist Kate O’Halloran. A State Memorial will be held for Dame Margaret Scott recognising her contribution to ballet, dance, education and cultural life in Australia. Director of the International CEO Forum Dr Gabriele Suder will present “Brexit: What it means for international business” at RMIT’s EU Centre. 2019 Australian of the Year Dr. Richard Harris will address an event for youth diversion charity Operation Flinders ahead of becoming an Assistant Team Leader. The West Australian European Business Association will hold the inaugural West Australian European Defence Industry Forum with WA Minister for Defence Issues Paul Papalia amongst others. Julie Bishop will address the 500 Club. Opening night for Australia’s largest regional arts festival Castlemaine State Festival, to run until March 3. Scott Morrison will announce funding for his proposed east-coast rail networks. Jacinda Ardern and thousands of others are expected to attend Friday prayers at the Al Noor mosque following last week’s attack.